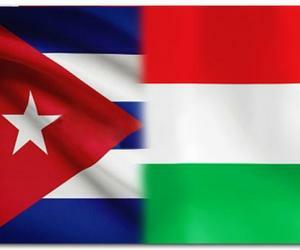 A cooperation agreement between Cuba and Hungary will be signed today as part of the visit of Dr. Tunde Szabo, Secretary of State for Sports of that European nation. Szabo will first visit the Anti-Doping Control Lab and the Cuban Sports Information Resource Center, and will also hold talks with authorities of the National Institute of Sports, Physical Education and Recreation (INDER by its Spanish acronym) and Cubadeportes Company. The document to be signed at the Sports City Coliseum will make official the will to strengthen ties in areas such as coaches and athletes training, sport for all, medicine and anti-doping control. A note released a few months ago by the website of the Cuban Ministry of Foreign Affairs included sports such as boxing, water polo, tennis, soccer, fencing and swimming while reviewing exchanges held as an advance at the Cuban embassy in Budapest. By that time, Szabó received a draft of the agreement to examine it with her specialists and recalled with satisfaction the several occasions in which she trained in Cuba in her condition of swimmer of Olympic and world level.